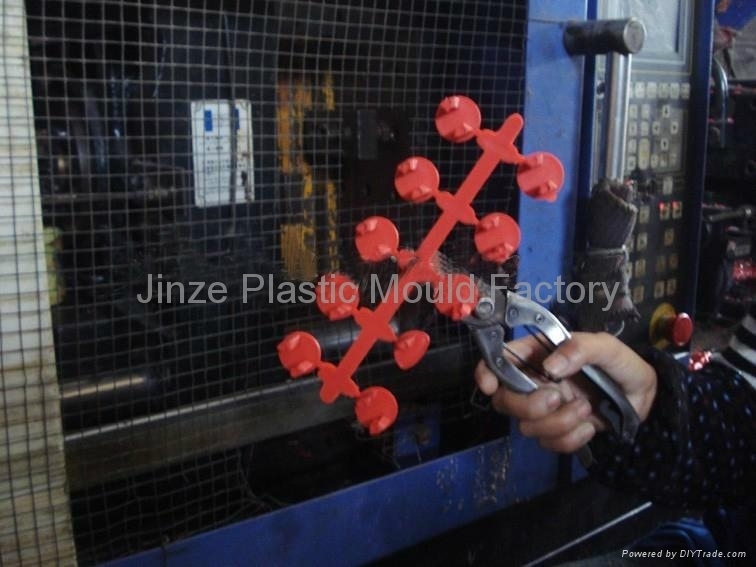 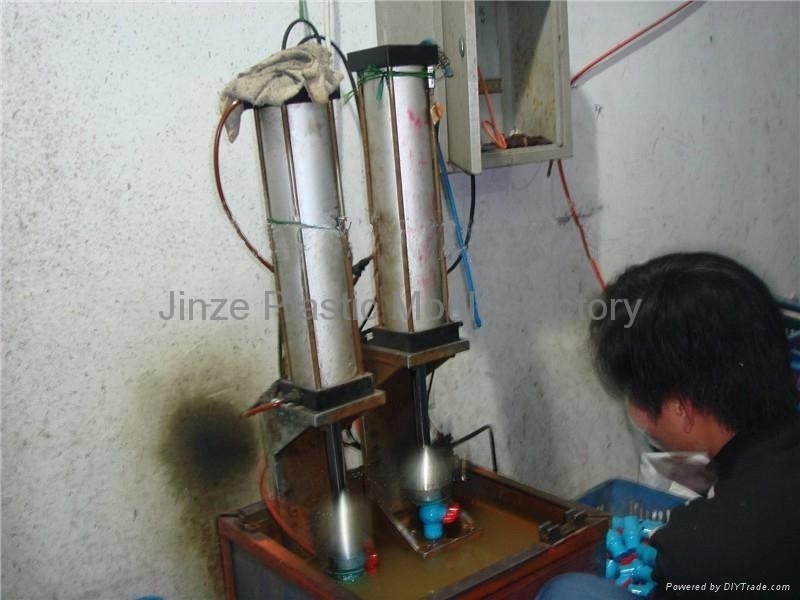 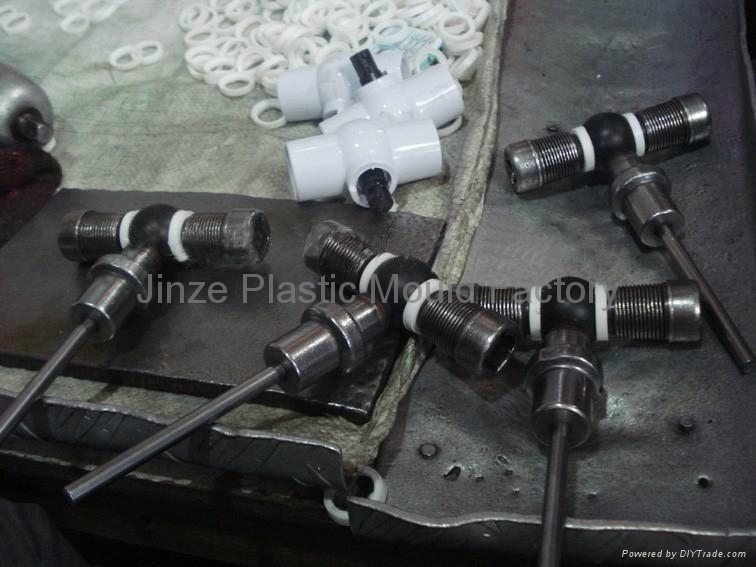 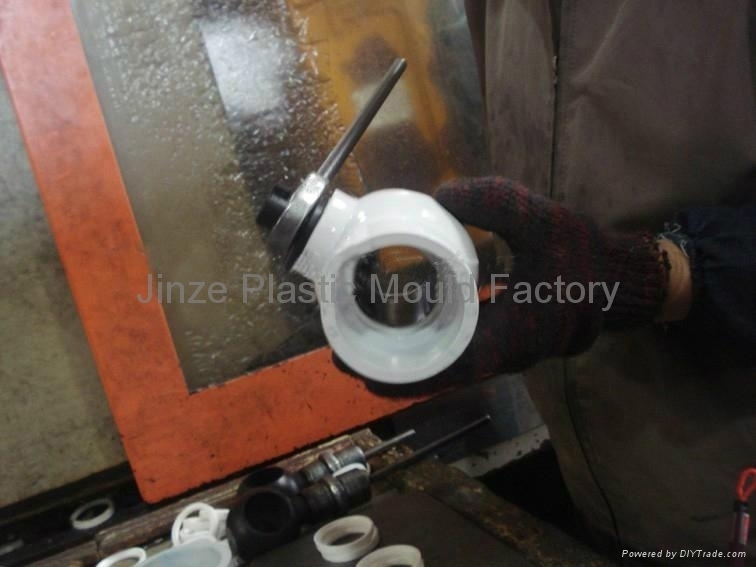 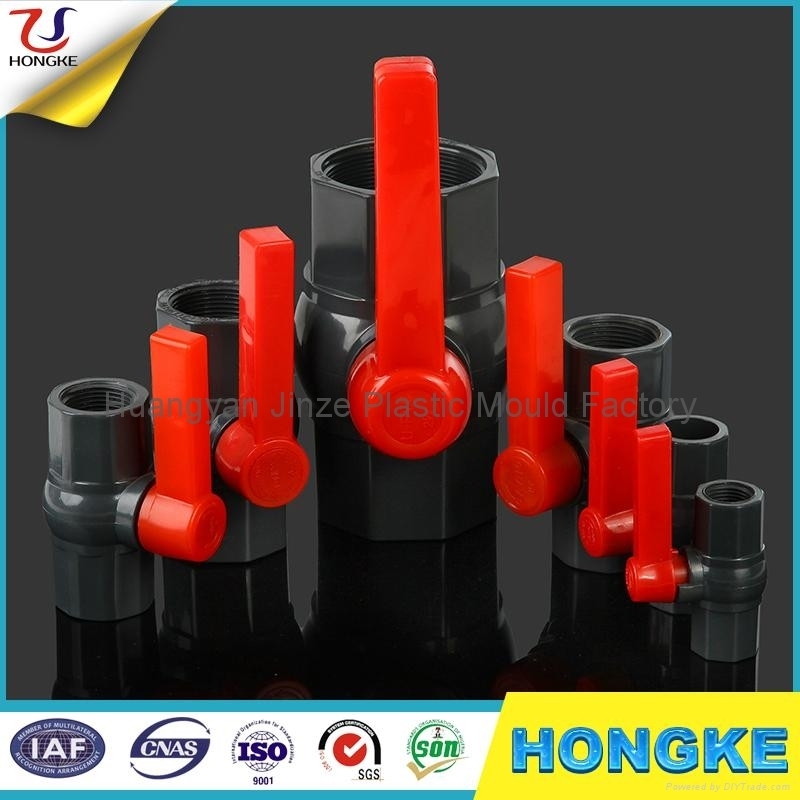 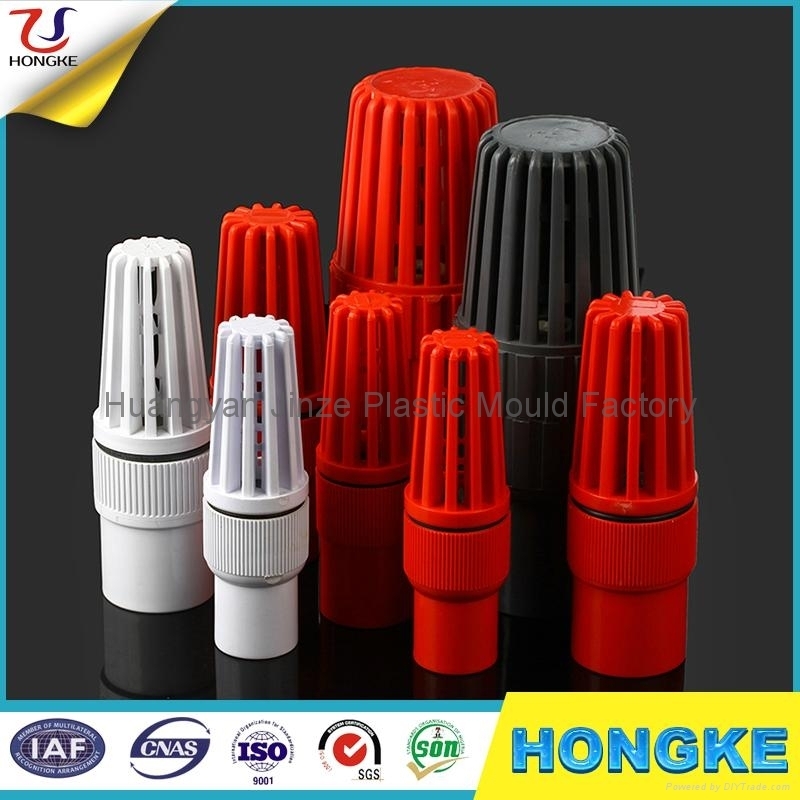 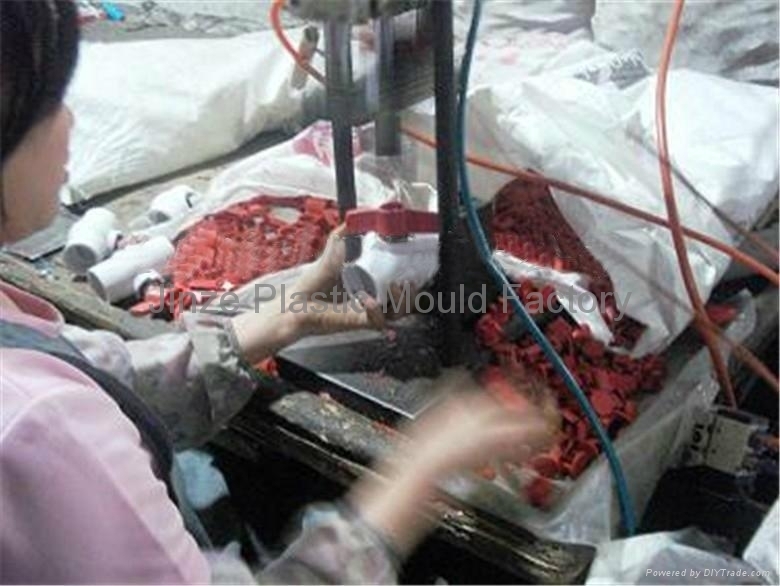 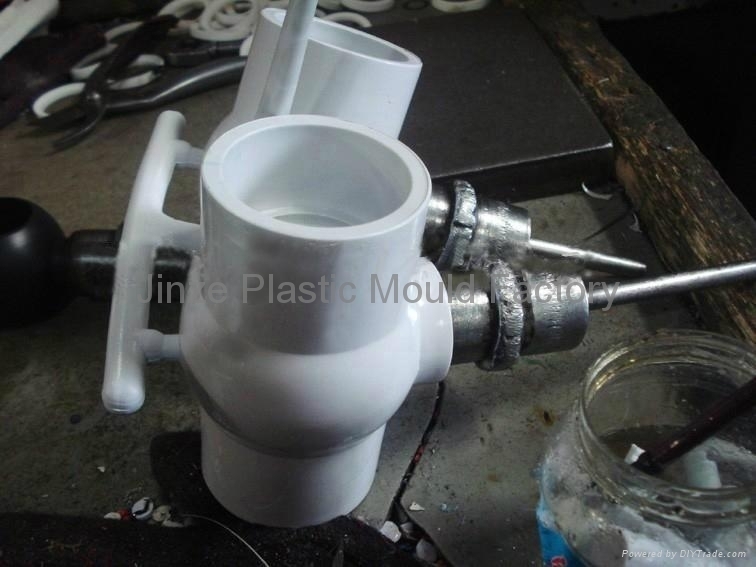 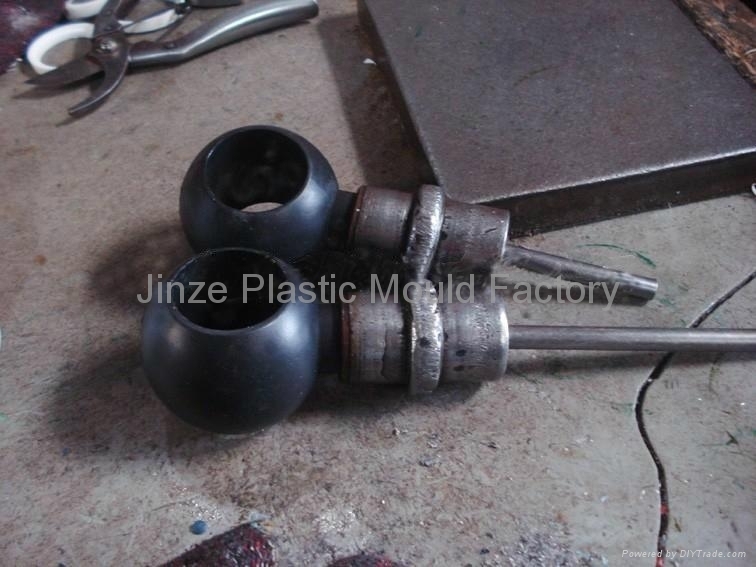 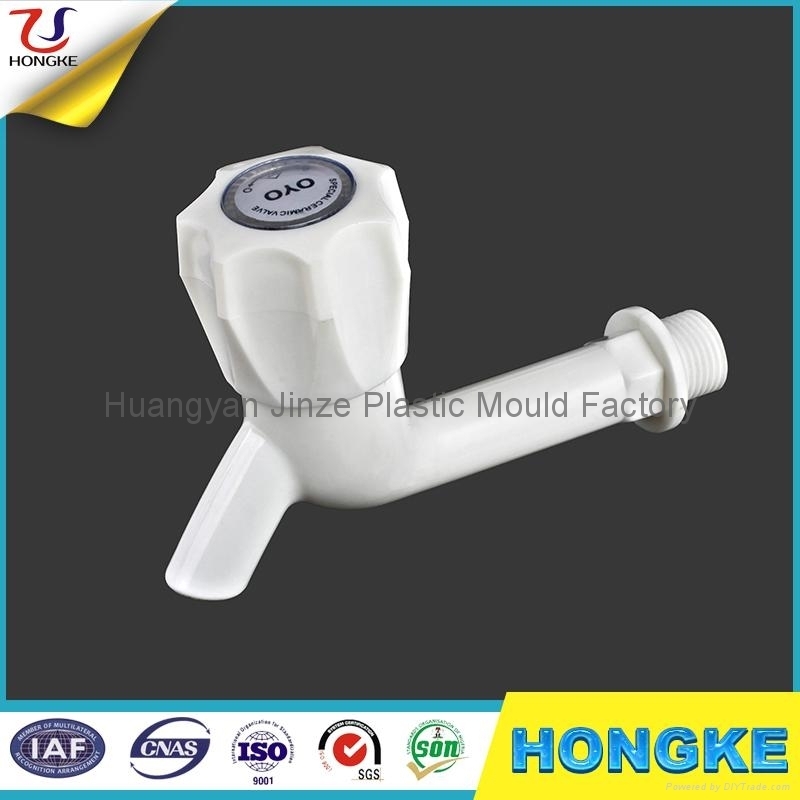 Jinze Plastic Mould is a professional manufacturer and dealer of water heating, hardware and bathroom products. 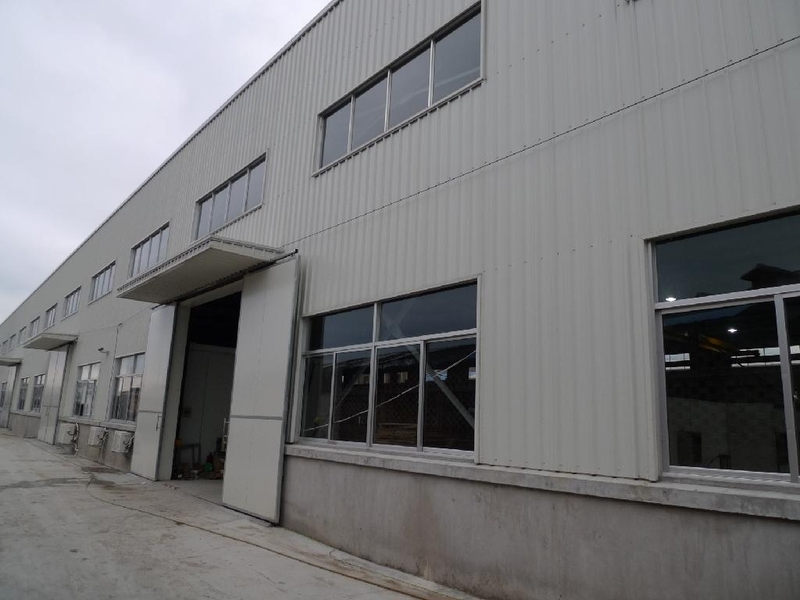 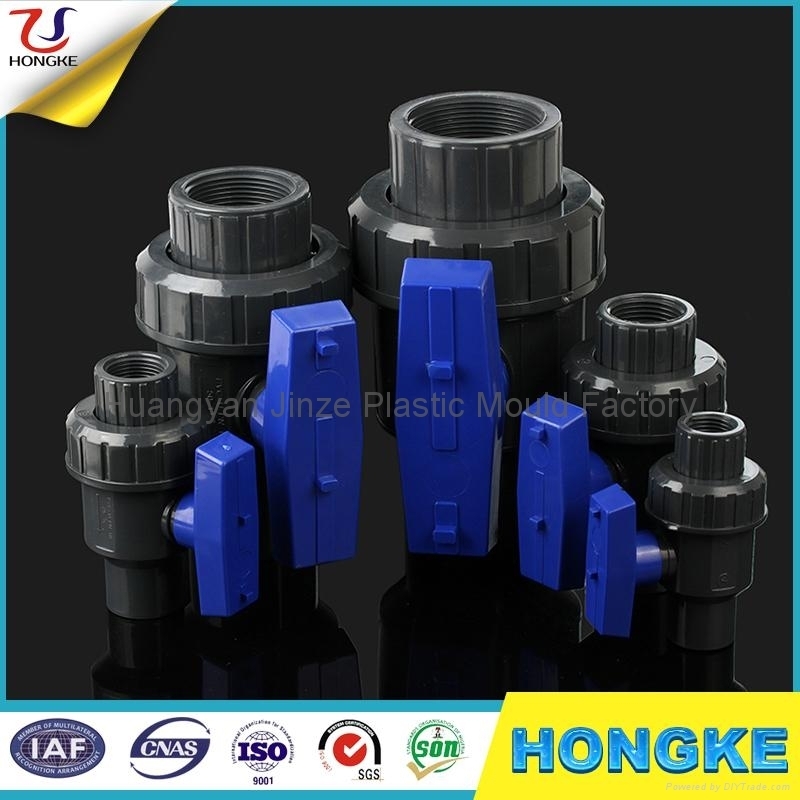 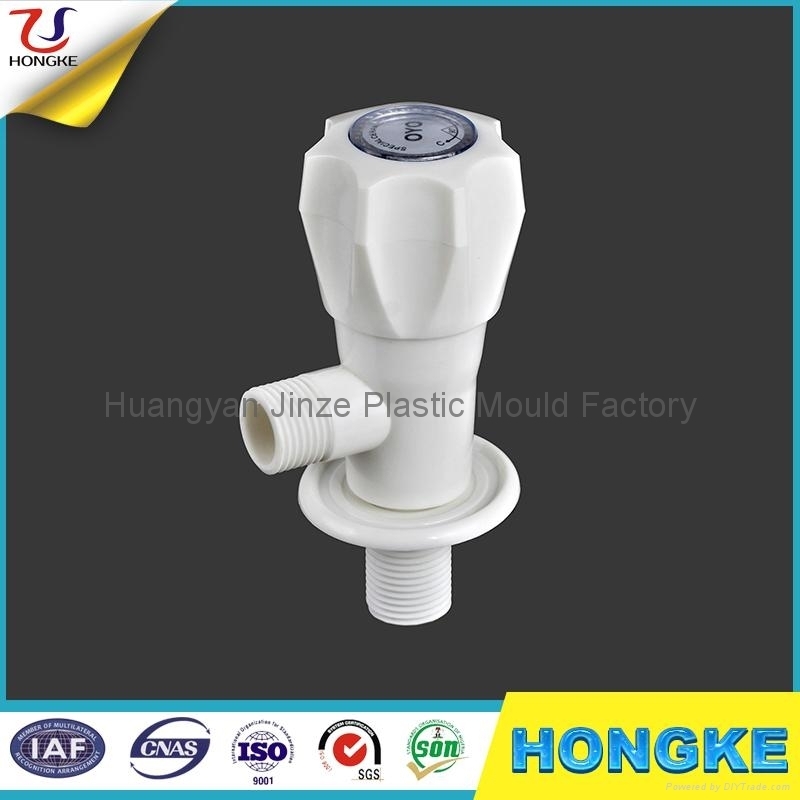 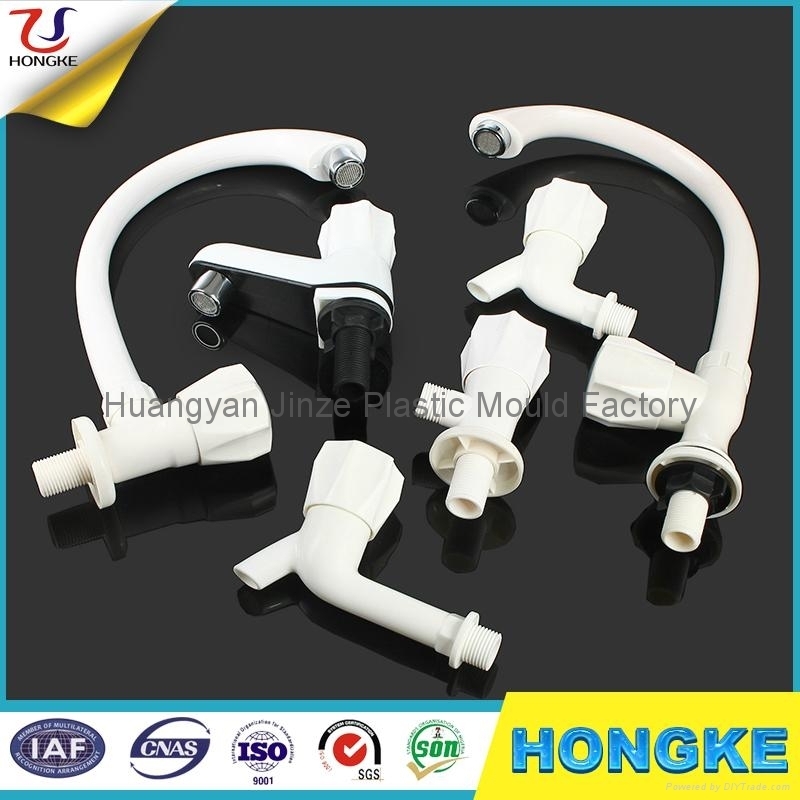 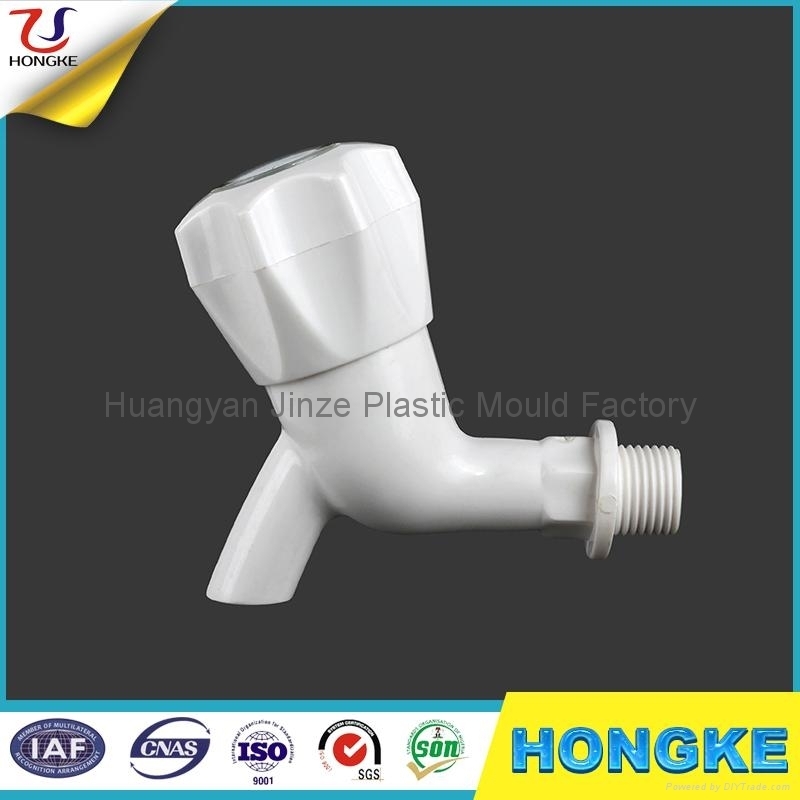 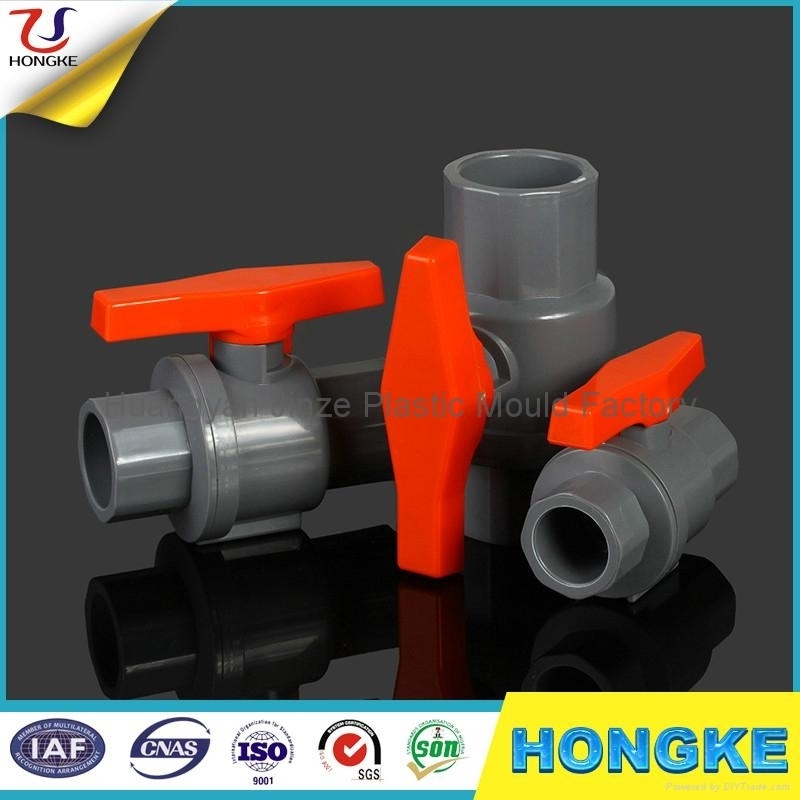 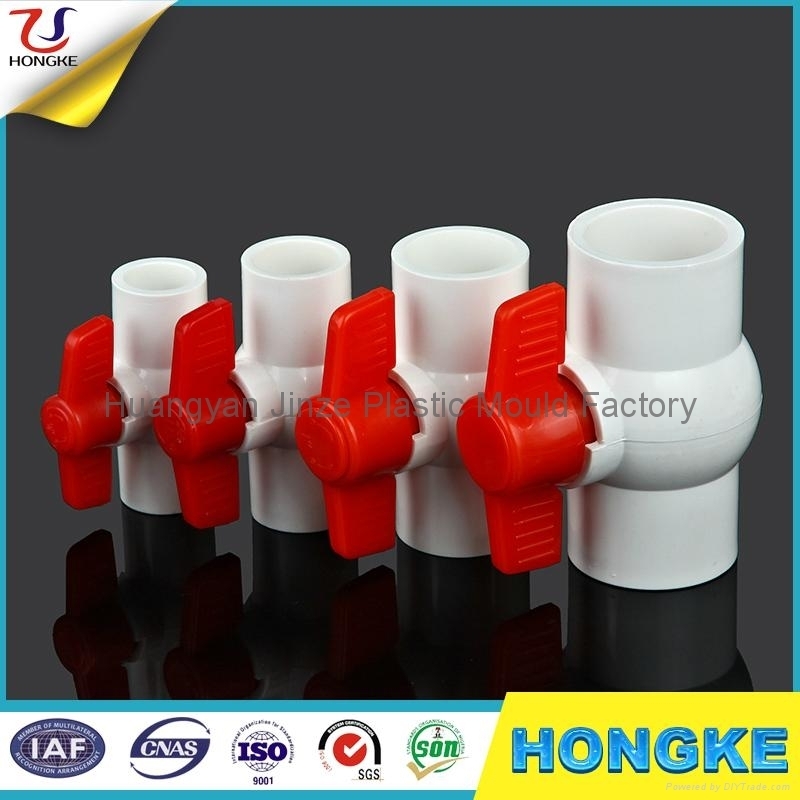 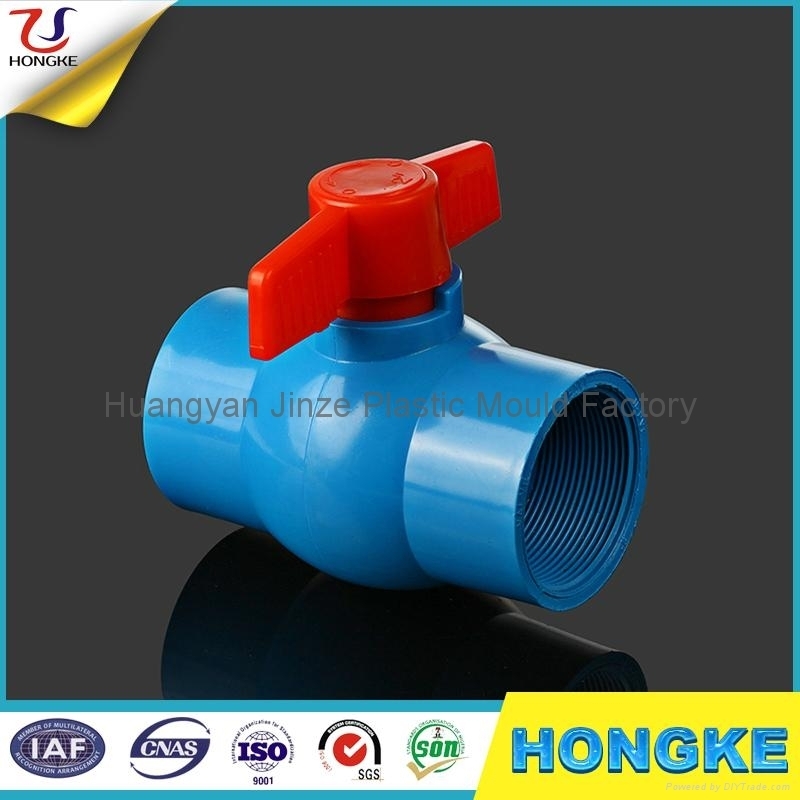 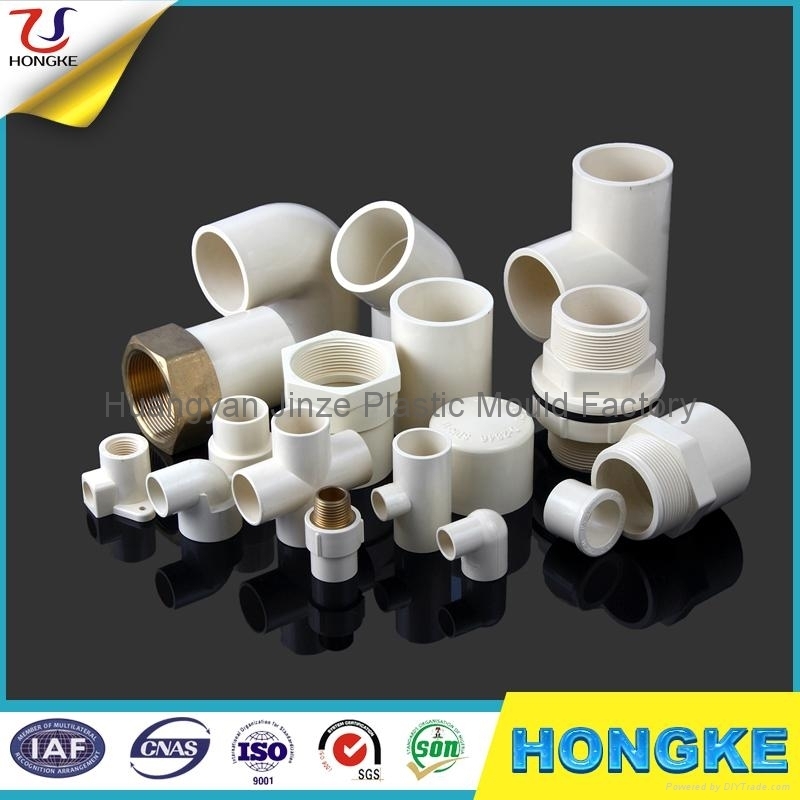 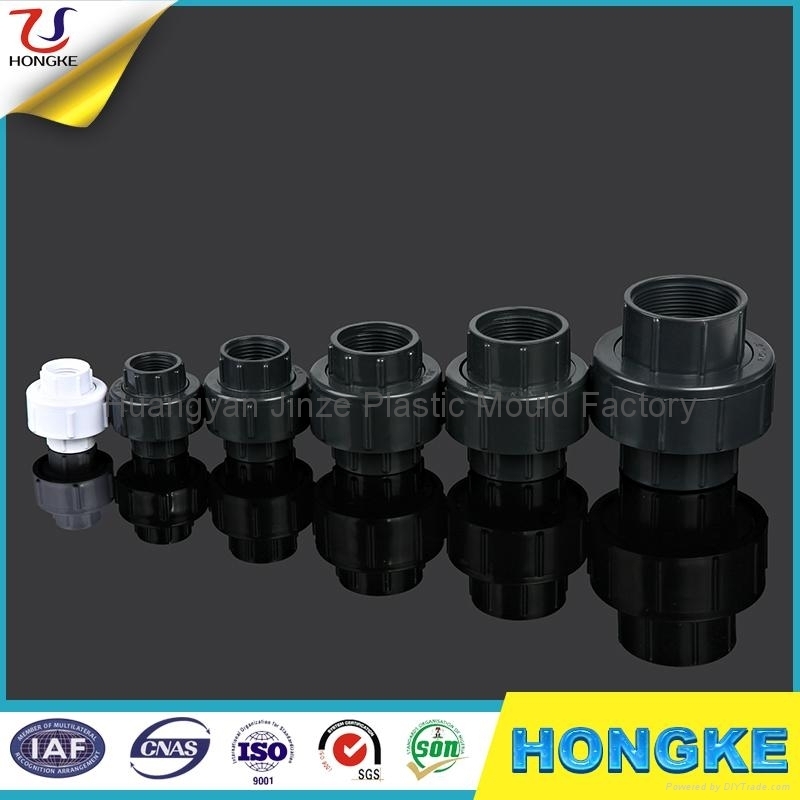 The main products include: Plastic valve(PVC ball valve,PVC foot valve,PVC double union valve,PVC compression coupling) plastic faucet,and a series of water heating, hardware and bathroom parts and accessories. 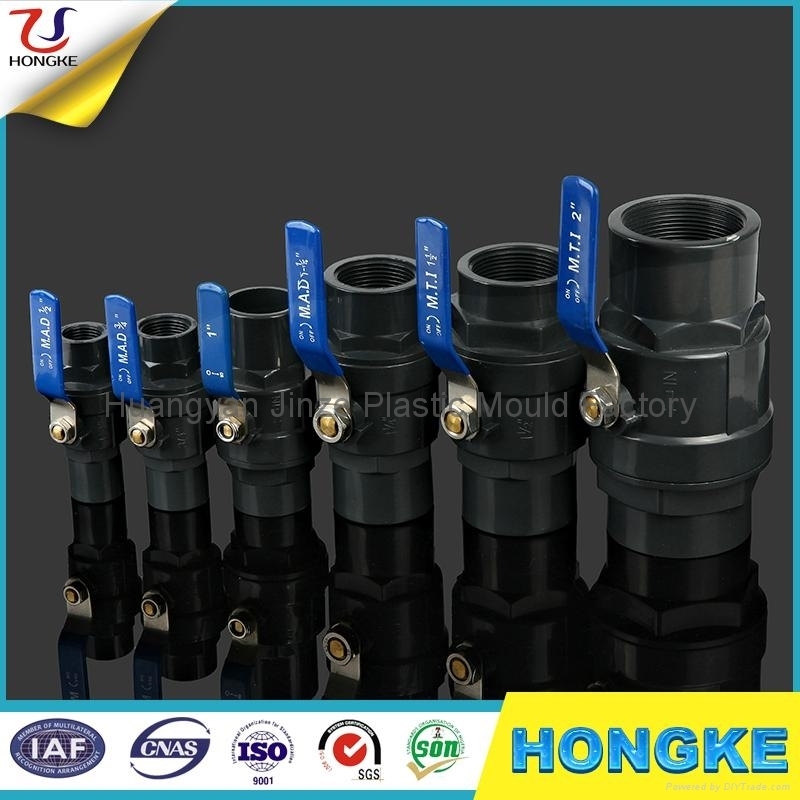 Our products meet the national working standards: DIN, ANSI, JIS, BS, CNS; They are widely used in civil buildings, chemical industry, pharmacy, agriculture, irrigation, aquaculture, petrochemical industry and metallurgy etc water pipe. 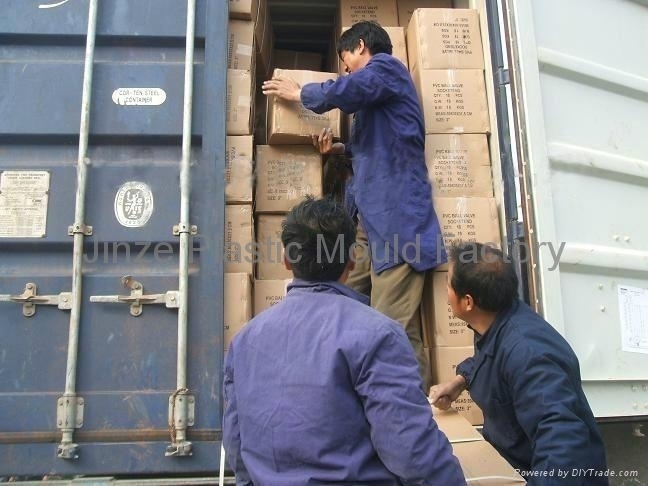 The main export countries and areas are: Jordan, Africa, Nigeria, Dubai, Libya, Pakistan, Iraq, Syria, Egypt, Sri Lanka, Algeria, Central and South America, Central and South Asia, India and Philippines, etc. 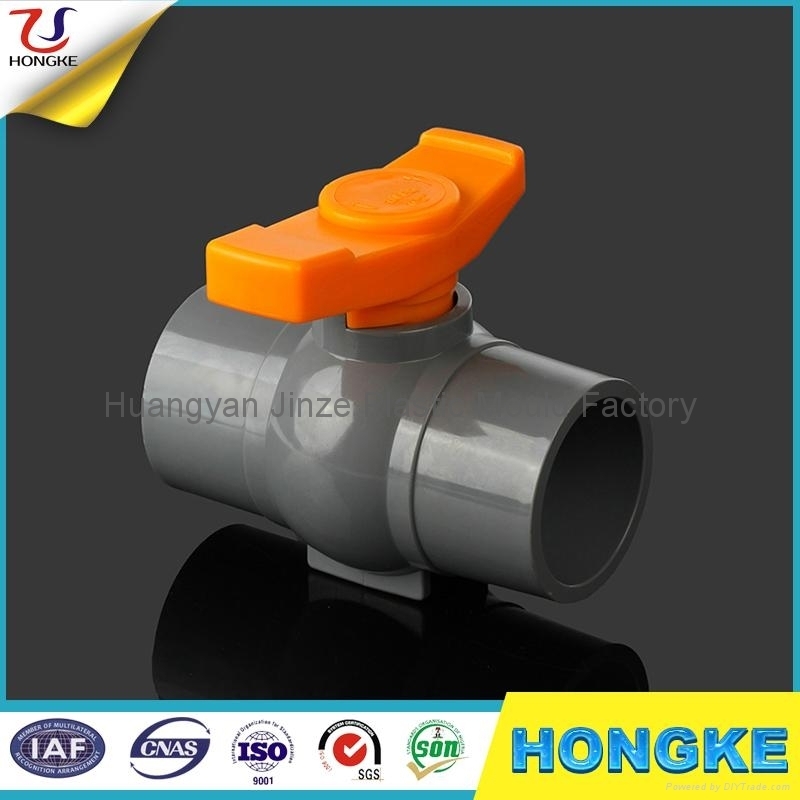 1.Material: Body: PVC; Handle: S.S. Ball: ABS Plated 2.Color: Body: Grey / Black. 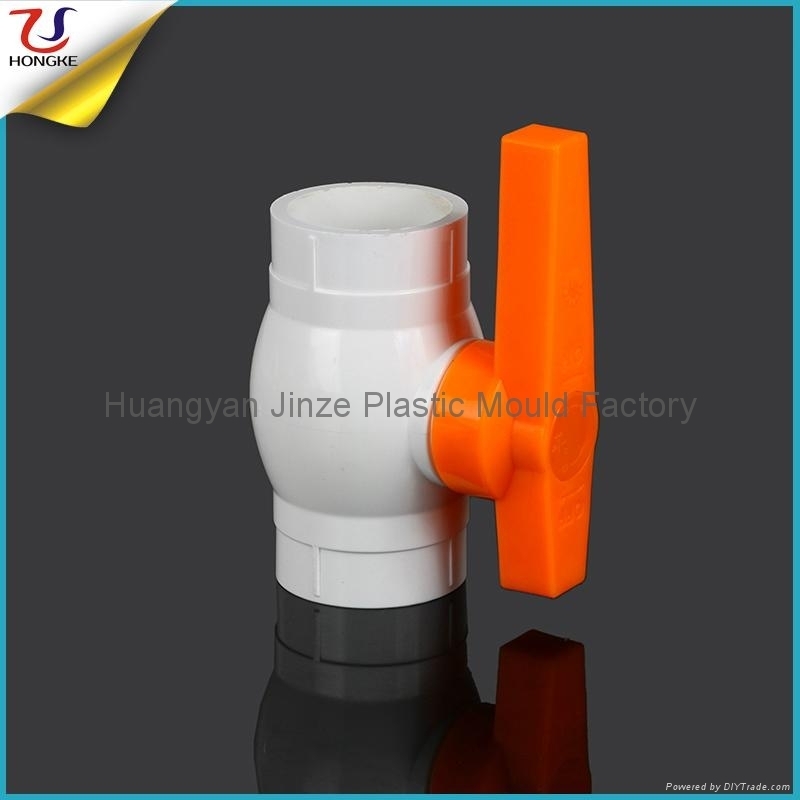 Handle: Colorful Rubber Cover 3.Size: 1/2" -4" 4.Connection : Socket / Thread 5.Packing: Poly bag or Box per piece, depends on your need.